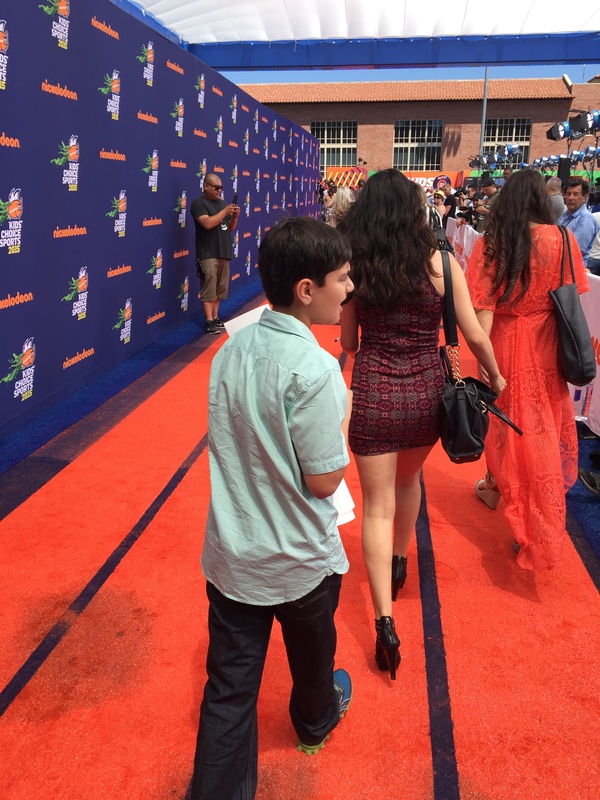 Nickelodeon Kids’ Choice Sports Awards 2015 — I WAS THERE! Have you ever wondered how a red carpet event works for an awards show? I had an insider’s view last week when I had the most amazing experience. 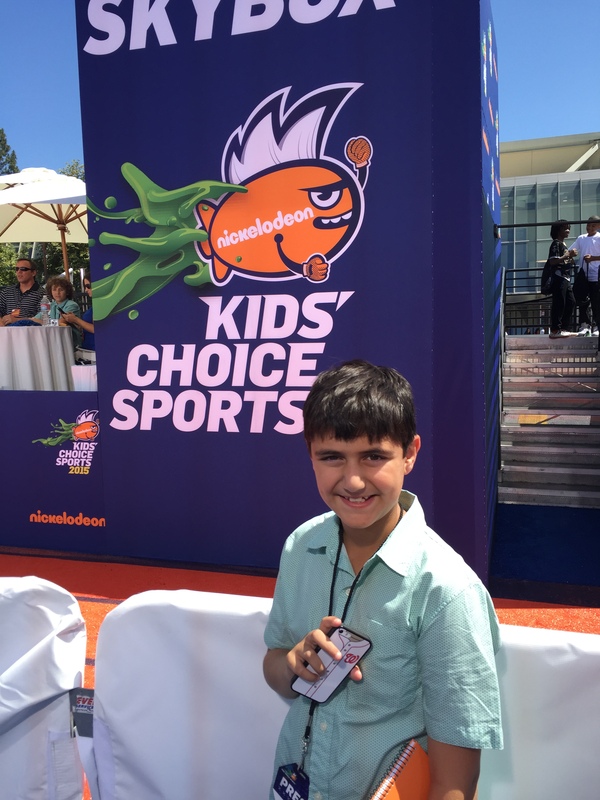 I was granted media credentials and tickets for the 2015 Kids’ Choice Sports Awards at the Pauley Pavilion at UCLA in Los Angeles. 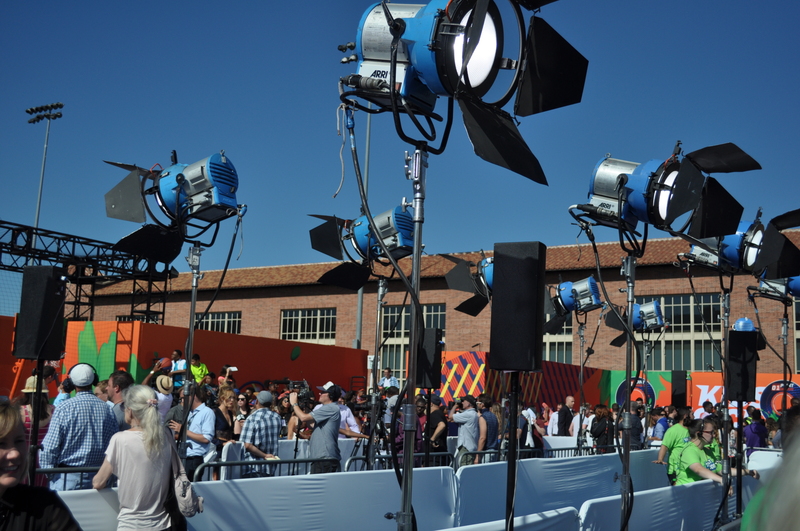 I covered the event from the Orange Carpet and then had great seats for the awards show. 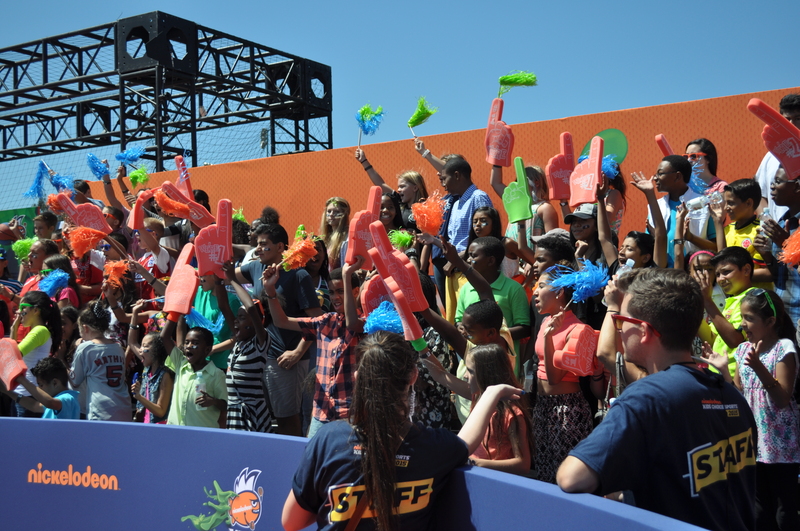 Here’s the behind the scenes view from Nickelodeon’s Kids’ Choice Sports 2015. Kids’ Choice Sports is an annual show on Nickelodeon where kids are able to vote for who they think are the best athletes in the world. The categories are really fun, like Best Cannon, Biggest Powerhouse, and Most Enthusiastic Player. Attendees included Golden State Warriors star player Stephen Curry, last year’s host Michael Strahan, Carli Lloyd, Alex Morgan, and Abby Wambach representing the United States Women’s National Soccer Team, and Legend Award winner Derek Jeter. The host was Super Bowl XLVIII-winning quarterback Russell Wilson, who plays for the Seattle Seahawks. 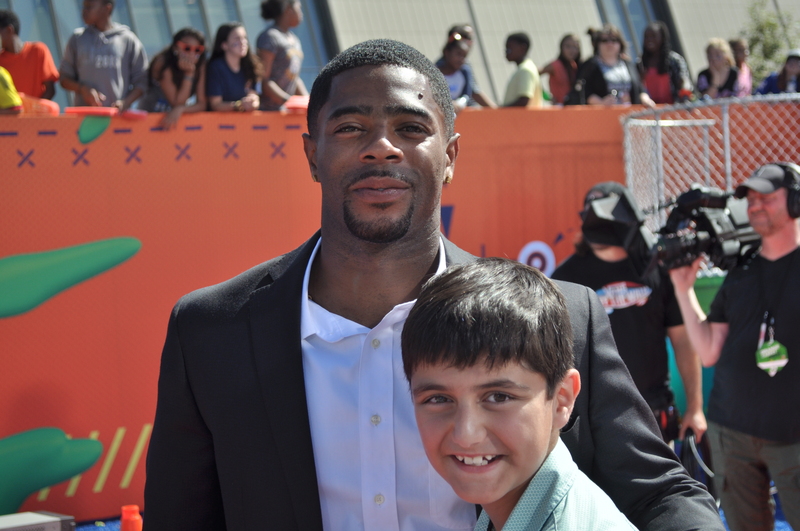 Also attending the event was Malcolm Butler, who famously intercepted Wilson’s goal line pass to give the New England Patriots the Super Bowl victory. The event was broadcast live at 8:00 ET / 5:00 PT, but press check-in began at 1:15 PM. 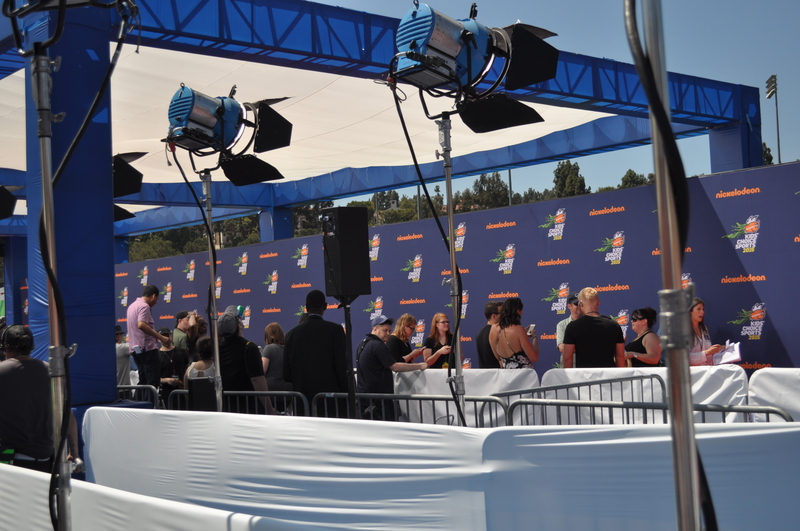 The Orange Carpet arrivals didn’t start until 3:00 but it took time for all of the press to get settled in time for the “talent” to to the show. (I learned that Public Relations people call celebrities “talent”). When we checked in, all media were given a big packet containing pictures and names of the athletes and other “talent” that were expected to attend. I was amazed at the HUGE list! 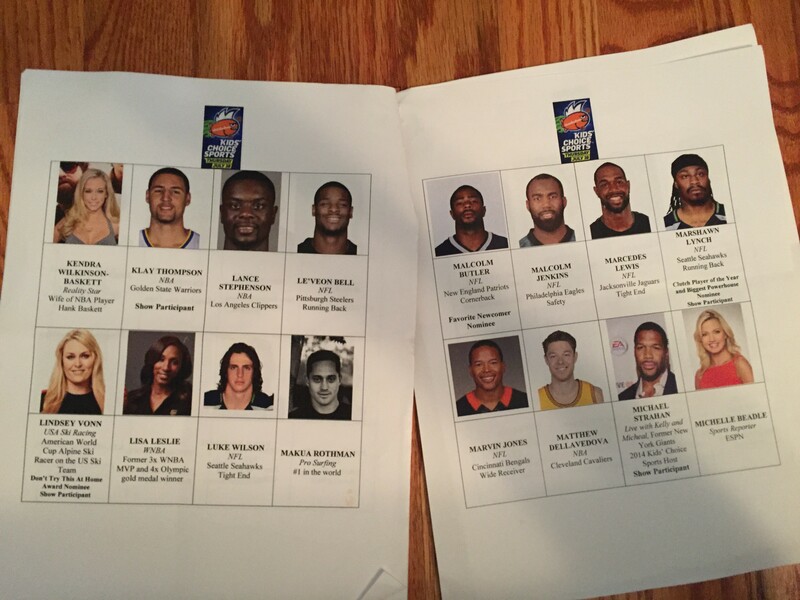 I’m a really big sports fan, but I don’t know too many football and basketball players, so I was really glad to have pictures and descriptions of all the people expected to walk down the carpet. Even still, I was kind of worried that I wouldn’t have enough time to learn everyone’s name, face, and team to recognize them as they walked by. All of the media were sent to a waiting area near the alumni center at UCLA. I grabbed some of the complimentary snacks and drinks. When it was time to go, they let photographers go first, then reporters for big magazines and TV shows, like People and Access Hollywood, and finally the bloggers, other print reporters and YouTubers were sent in. There was a number on our Press Pass, and that was the order in which we lined up. The whole line of media walked a few blocks to the actual arrivals area. We walked through throngs of kids who were waiting to get into the arena to watch the show. 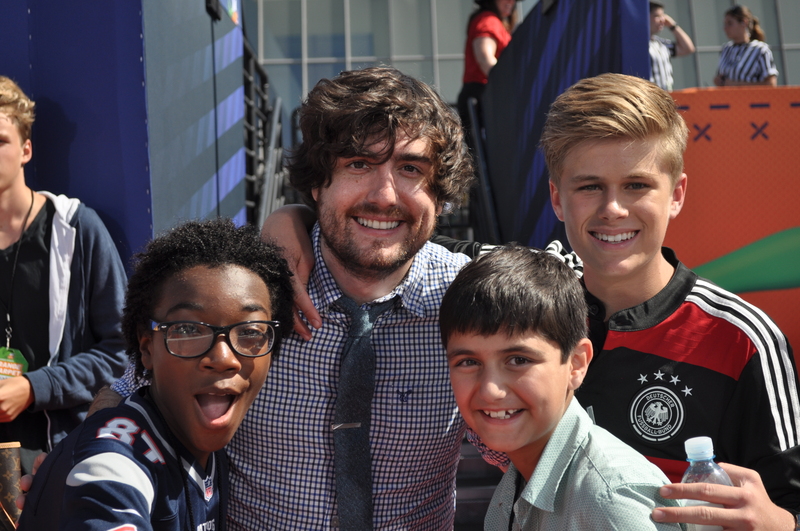 I bet they were wondering why I got to get into the Orange Carpet and they had to wait outside! I walked onto the carpet, through bright signs and lights advertising the show. The carpet wasn’t actually a carpet- it was AstroTurf painted orange. I took in the scene. 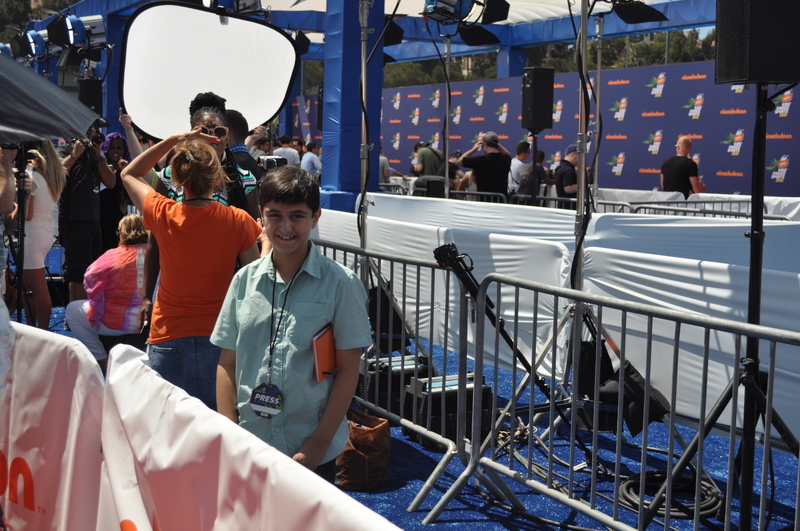 The Orange Carpet was shaped like a racetrack oval. When talent walked down the carpet, they first were photographed in front of the big blue “step and repeat” screen. The photographer’s area was very well lit with huge lights, but was tented to prevent too much sunlight from affecting the pictures. Then the talent walked out of the tent and encountered bleachers full of fans and bigger outlets, like Access Hollywood, Extra, and People Magazine. At the far end of the racetrack were a basketball hoop and football target for the athletes to play. Finally, at the curve of the oval, bloggers and YouTubers, were lined up. I saw my placard (that had an incorrect spelling of Matt’s Bats) showing me where to stand in the line. I took my spot and waited for the talent to arrive! Me with USWNT soccer star Carli Lloyd, who scored 3 goals in the final game to give the Americans the win. It took a long time for talent to come around to my end of the oval. There were so many photographers and reporters along the first side, plus all the games, that it took a while for the athletes to walk through. Also, I noticed that there was a secret exit that people could take before they made the turn to my side of the carpet, so some of the attendees didn’t even walk past me. 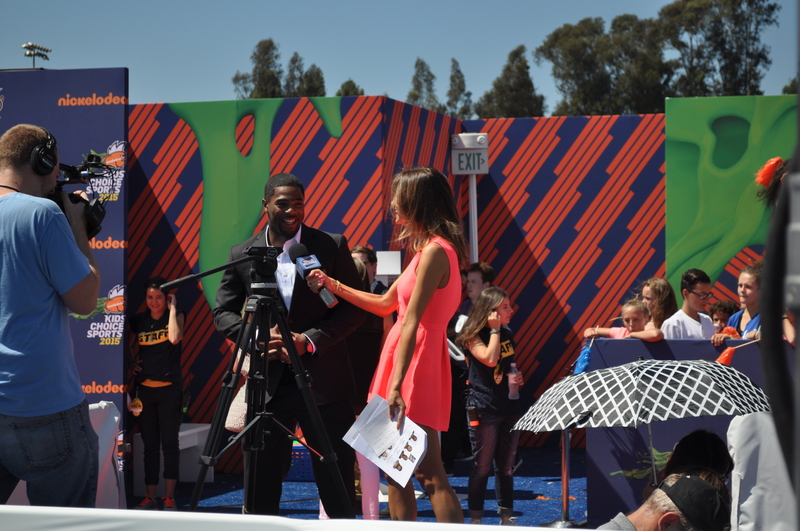 For example, Russell Wilson and Ciara, Rico Rodriguez from Modern Family, Erin Andrews, Abby Wambach, Lindsey Vonn, and Nick Cannon didn’t walk down my side of the carpet. Other attendees, like Michael Strahan, Stephen Curry, and Derek Jeter walked really quickly by but didn’t do interviews. When I did try to get Derek Jeter’s attention, he did stop, wave and yell back to me. Then I got lucky because other people saw I was a kid and stopped to do interviews or take pictures with me, even though they didn’t stop to talk to any other reporters. 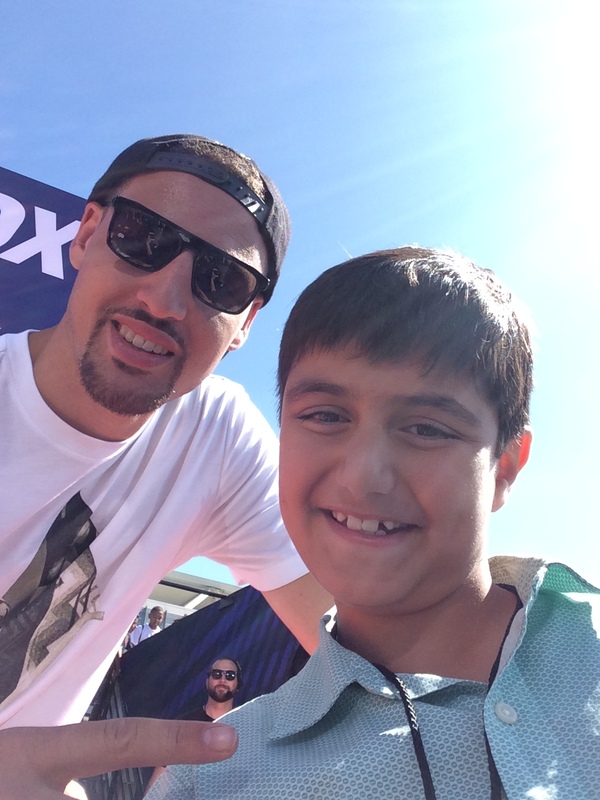 I took selfies and pictures with Klay Thompson of NBA Champions Golden State Warriors, Carli Lloyd (US Womens Soccer Team), Ashley Wagner (US Olympic Figure Skater and National Champion), Tito Ortiz (MMA Fighter), Malcolm Butler (New England Patriots), Jennie Finch (US Softball), and others. 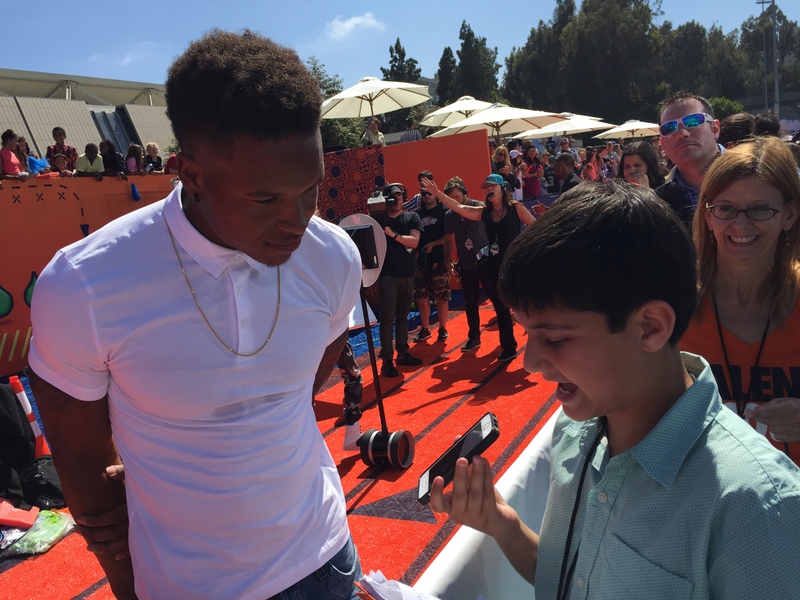 Cincinnati Bengals wide receiver Marvin Jones loves visiting Southern California, especially his hometown San Diego. It turns out I didn’t have to worry about learning everyone’s name and face – all of the talent was led down the carpet by a “handler” holding a white sign with the celebrity’s name. This was VERY helpful! Most of the reporters had to go home after the Orange Carpet. Not me! I was lucky enough to have tickets for the show too. There were three stages at the event- two on the sides, and one in the center. On the floor, there were no seats, but many kids were able to stand around the stage and watch. When an award winner’s name was called, the person would walk through the crowd and give high-fives to the kids on the floor. 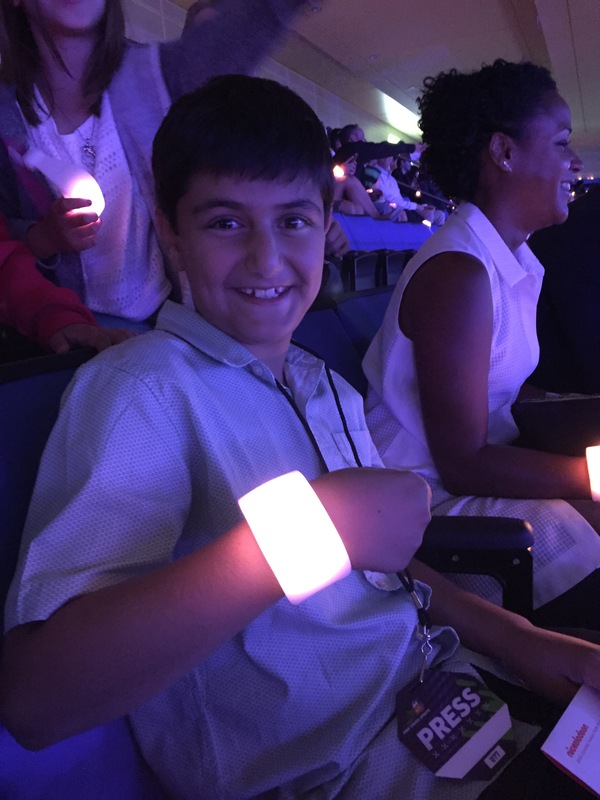 Also, everyone in the audience had light-up wristbands that changed colors during the show. It was really cool and gave a great effect. The U.S. Women’s National Soccer Team came out to start the show, holding American flags. Everyone was chanting “U-S-A! U-S-A!” as they came. Then the host Russell Wilson came out on the stage. The first award they announced was the Clutch Player of the Year award, featuring the only Washington sports nominee, Alexander Ovechkin of the Capitals. Ovi didn’t win, despite my cheering. Instead, California local guy Steph Curry of the Golden State Warriors won. After that, a 12-year old named D.J. 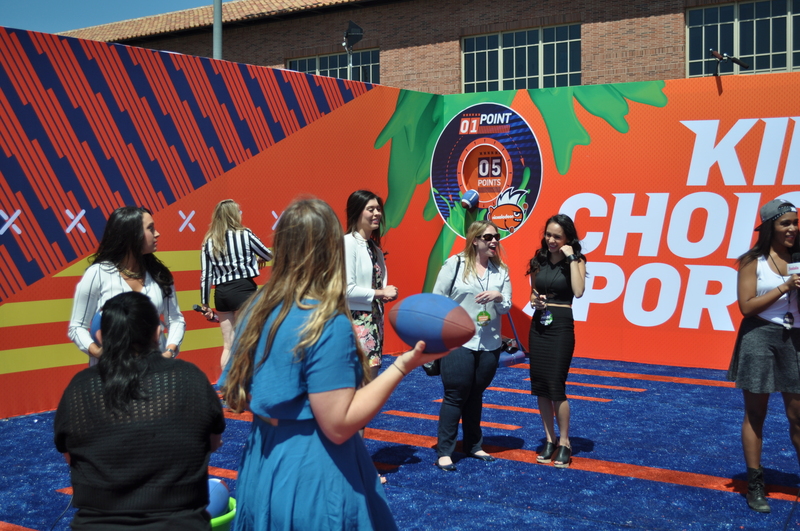 tried to throw a football 30 yards into a net to win $50,000. He did not make it, but two other kids attempted similar challenges with a basketball and soccer ball, and both made it. Nick gave $100,000 awards to the kids. Sports trick YouTubers Dude Perfect came out to do a stunt with Russell Wilson. Wilson was strapped to a target and the Dude Perfect guys and other athletes got themselves dizzy and threw water balloons filled with green slime at him. There were only three times that someone got slimed, and if you are wondering, one was not me. And I am happy about that. 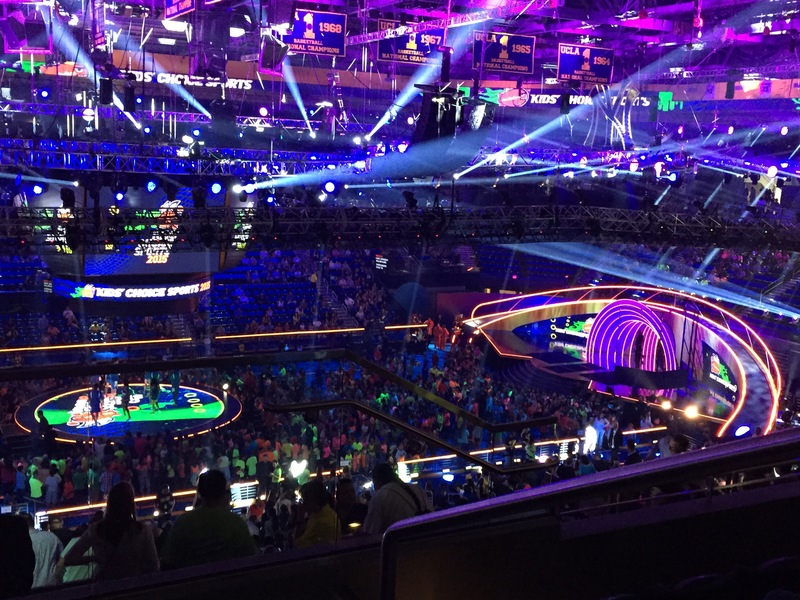 People all over the country could watch the show live on on Nickelodeon, but there were a few things that TV viewers weren’t able to see. When Alex Morgan won her award, for instance, she wasn’t actually out on the stage to accept it. Her acceptance speech was previously recorded, but people at home had no idea that the video they were seeing wasn’t live. Instead, the crew was actually changing the set during those few minutes. 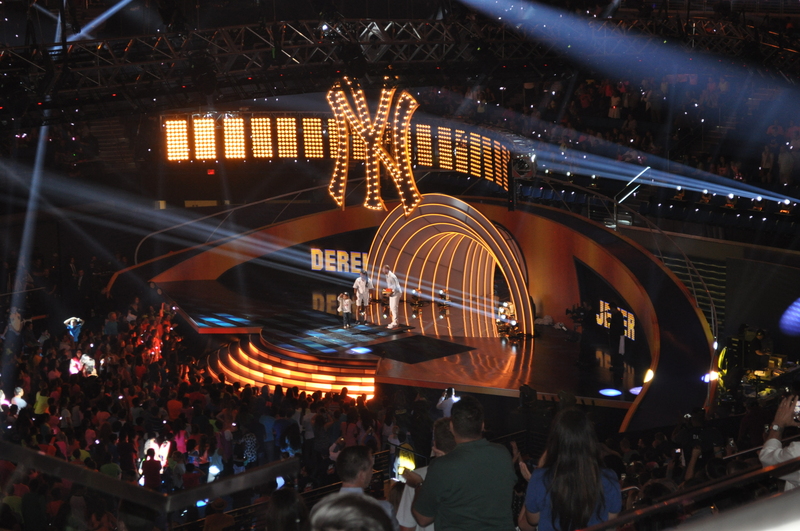 The highlight of the show was Derek Jeter getting honored by receiving the Legend Award. His nephew, Jalen Jeter-Martin, came out on stage with him and tipped his cap to Derek when he came out on stage after being introduced by Mo’ne Davis. They played a video to honor Jeter. While the video was playing, before the show returned, Russell Wilson had to teach everyone the “Der-ek Jet-er <clap, clap, clap-clap-clap>” chant. I guess a lot of people on the West Coast never saw or heard the fans at Yankee Stadium do that when The Captain came up to bat. But he didn’t have to teach me; I already knew the chant. 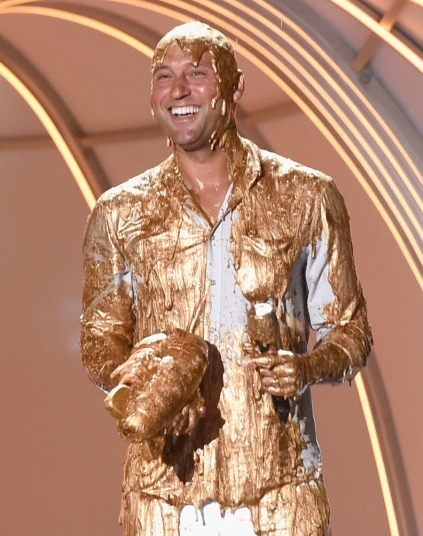 As a finale, in Nickelodeon tradition, Jeter got covered in gold slime. I was still really exited after the show ended. We went back to our rental car in the media parking lot, which happened to be the same lot that the players parked in. We saw Carmelo Anthony and Derek Jeter. 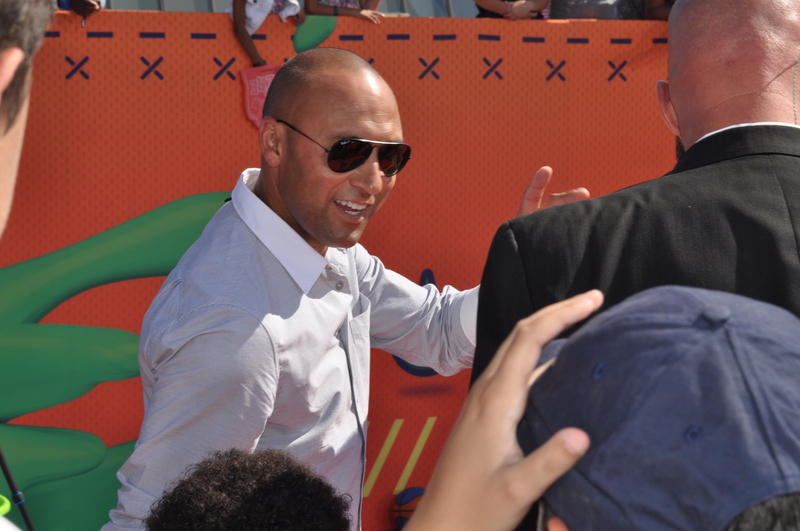 I was hoping to get Jeter’s autograph and talk to him, but his bodyguards and entourage didn’t let anyone get close. 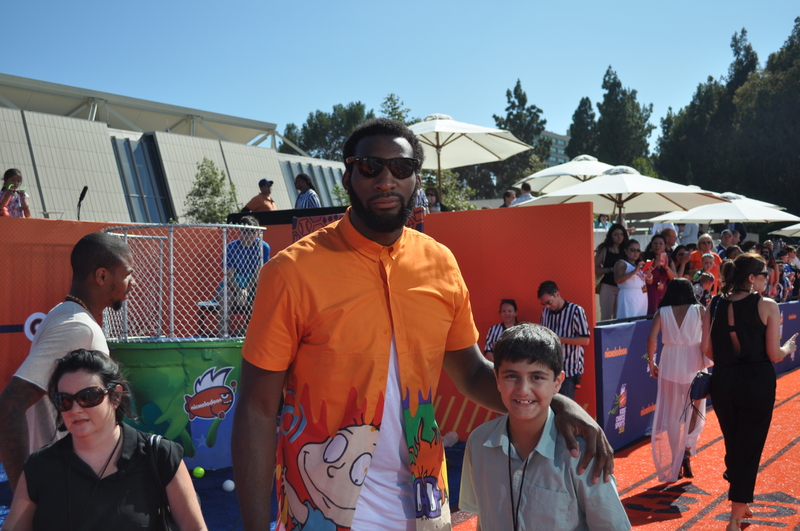 Even without a Jeter autograph, it was really cool being at Kids’ Choice Sports. 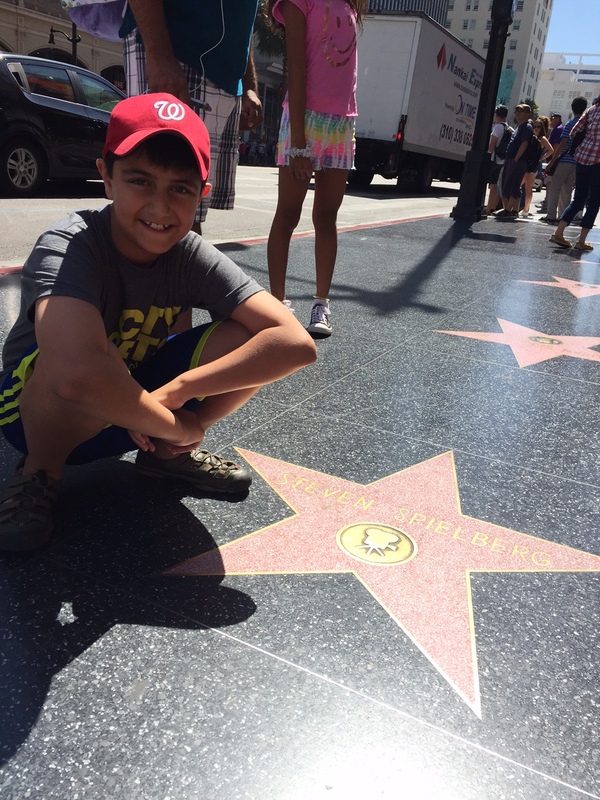 We also had a great time sightseeing around L.A. We explored Los Angeles and Santa Monica. In Santa Monica, we picked up our passes at Viacom’s headquarters. We spent the morning at the pier and at the beach. In the afternoon, we turned our L.A. tourist on. We first went to Hollywood and Highland to get a view of the famous Hollywood sign. After that, we went to the Walk of Fame and the famous Chinese Theatre, where I put my hands in the same place Steven Spielberg put his. For dinner, we went to Cali staple In-N-Out Burger, which I think makes the one of the best burgers in America. We went to Diddy Riese in Westwood for dessert. If you ever go to Los Angeles, you should really visit. It’s a place that makes custom ice cream sandwiches. We even drove out to Chavez Ravine to see Dodger Stadium another morning. I had so much fun in L.A. I had a good time exploring the City of Angels while having one of my greatest experiences ever. I really want to thank Nickelodeon and Viacom for offering me this opportunity. Even more, I want to thank the people who contributed to my Indiegogo campaign to help me make the trip. It really is very generous and thoughtful for people to support me like this!